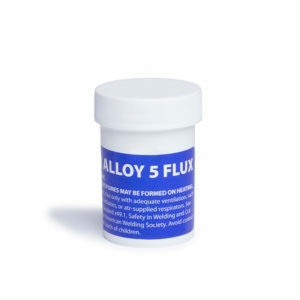 Demonstration of the strength of Super Alloy 5–we soldered two aluminum plates together using a very small amount of rod and flux. John (of John Barrett Works) invited us to his shop to assist with some aluminum brazing and was also kind enough to hold the camera while the soldering was taking place. 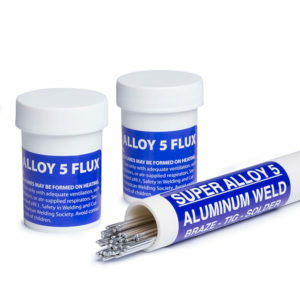 Super Alloy 5 is low temperature alloy (600°F), but is definitely as strong as a weld.